Eight pairs of owls please the eye, eight little bells make sweet music when the wind blows. 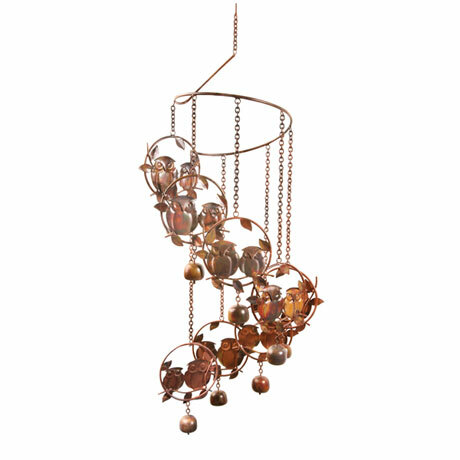 Steel with a flamed copper finish, spiral chime hangs 32". About 9" wide.